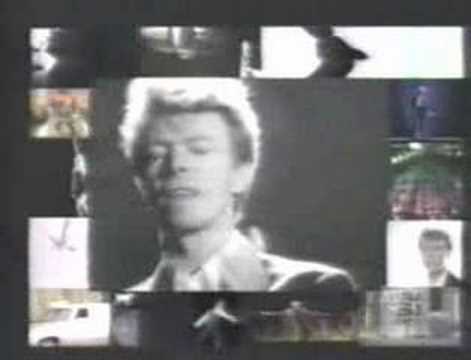 "Fame" is a song recorded by David Bowie, initially released in 1975 and in remixed versions, in 1990. With the Young Americans sessions mostly concluded in late 1974, the material was delayed while Bowie extricated himself from his contract with manager Tony DeFries. During this time he was staying in New York, and met John Lennon. The pair socialised and jammed together, which led to a one-day session at The Power Plant studio in January 1975. There, Bowie contacted several members of his tour band. Firstly a cover of The Beatles’ "Across the Universe" was recorded. Then a new song called "Fame," inspired by "Walk On By", from the Jackson Five's "Going Back to Indiana" live album, and a guitar riff written by Carlos Alomar and with the title from Lennon, was then hurriedly developed by Bowie, and recorded. Both tracks were then added to the Young Americans album. Despite having only a minor contribution, Lennon was given a co-writing credit due to the lyrics (bemoaning the nature of celebrity) being inspired by conversations he had with Bowie on the subject, and because Bowie acknowledged that Lennon singing "Fame!" over Alomar’s guitar riff was the catalyst for the song. The songwriting credit list order is David Bowie, Carlos Alomar, and John Lennon. This song reached #1 on the U.S. Billboard Hot 100 charts.